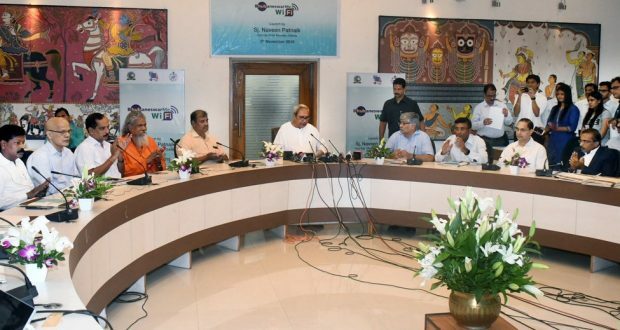 Bhubaneswar:5/11/18: Chief Minister Naveen Patnaik today launched the citywide WiFi project titled “Bhubaneswar Me WiFi” by the Bhubaneswar Smart City Limited to make the city accessible across its major happening places. He said Bhubaneswar dot Me WiFi project will be a game changer for our youth to realise the heights of knowledge economy. Bhubaneswar will stamp its entry as a global Smart City with 500 Hotspots spanning the entire city under this project. There will not be any charge on data usages for citizens and free data pack is also provided for all users. I call upon the youth to utilise these world-class facilities and aim big in their spheres of work,” the CM stated. “As part of my commitment for 3Ts — Technology, Transparency and Teamwork, in coming days we will have similar free WiFi facilities in all our Corporations- Cuttack, Sambalpur, Berhampur, Rourkela and our Jagannath Dham- Puri,” the BJD supremo further stated. Notably, the project started with 100 Hotspots having 275 Access Point on day one. The city will have 518 Hotspots with 1800 Access Points. The Internet speed will be 2 mbps with one user getting upto 250 MB free Data. 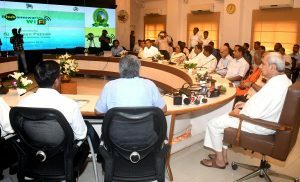 Among others, Minister Ashok Panda, MP Prasanna Patsani, MLAs Bijoy Mohanty, Priyadarshi Misra, Mayor Ananta Narayan Jena, Development Commissioner and Chairman, Smart City Ltd. R. Balkrishnan and other senior officers were present.